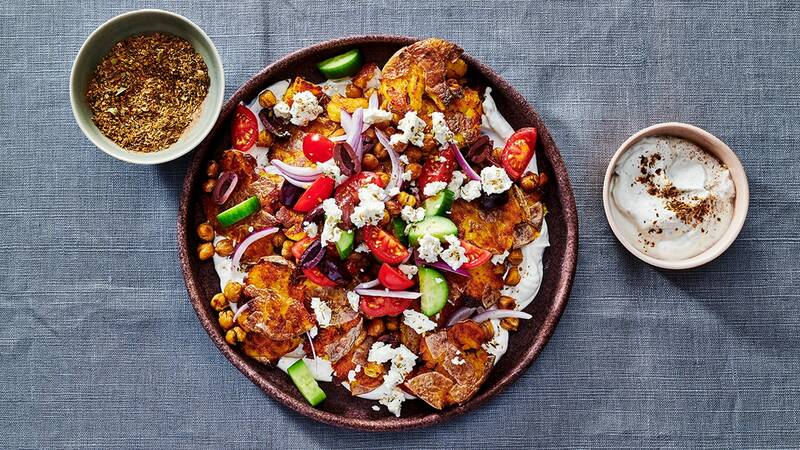 Crispy chickpeas and smashed potatoes share the plate with lemon-juiced onions, tomatoes, and olives, all balanced by a creamy spread of yogurt. Brought to life with The Spice Hunter Greek Seasoning, made with oregano, garlic, cinnamon, peppermint, dill, nutmeg, red pepper, and chives. It turns your favorite staples, like potatoes, into flavorful masterpieces.